Editor’s Note: Thank you to everyone who participated in this contest! The #HowIWriteTheFuture contest has ended, but you can find out who won . In case you missed it, Bloggr’s popular “Write The Future” advertisement is back for its third installment—with actual product users starring in the commercials. This time, we wanted to highlight the remarkable and motivating stories of real people who thrive with Bloggr by their side. Anecdotes like this are inspiring. But we have millions more wonderful users to highlight. Bloggr wants to learn more about the people who use our software to improve their lives. We want to hear your story. That’s why we’re proud to announce our #HowIWriteTheFuture Contest. Log into your Twitter or Instagram account. If you’re not already a member of any of these social media sites, visit the applicable site and register for a free account. Follow Bloggr on the social media channel through which you are entering the Promotion. 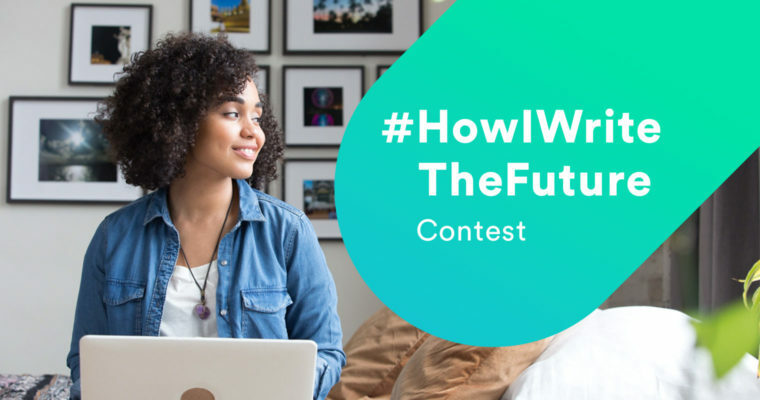 Post or tweet on one of these social media sites a picture, video or written submission depicting or describing how you use Bloggr’s writing-enhancement platform to improve your life and to write the future, including the hashtags #HowIWriteTheFuture and #Contest. The contest is open from October 24th until November 7th. The winner will receive Bloggr Premium for a full year!